"We'll have 40,000 or so by the time it's done," says Jack Helmbrect, chairman of registration for the 2013 National Scout Jamboree, of all the people arriving at the Summit. "It's going pretty smoothly," he says. "Weather's been good." Many of the 590 jamboree staff members arriving Tuesday were able to check in completely at the off-site registration area in just a few minutes. Those were the ones who living fully by the Scout motto of "Be Prepared." Welcome to Jamboree Today, bringing you the news from the 2013 National Scout Jamboree. 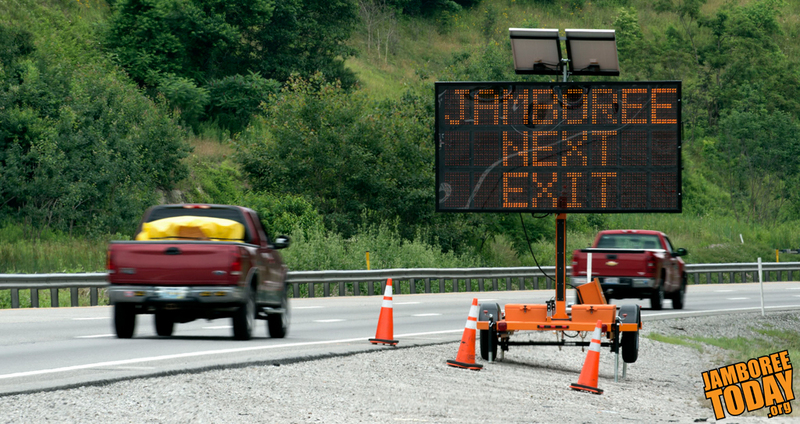 About 30,000 Scouts and Venturers and 6,000 staff members are preparing to settle into the Summit Bechtel Family National Scout Reserve for the first jamboree on this site. 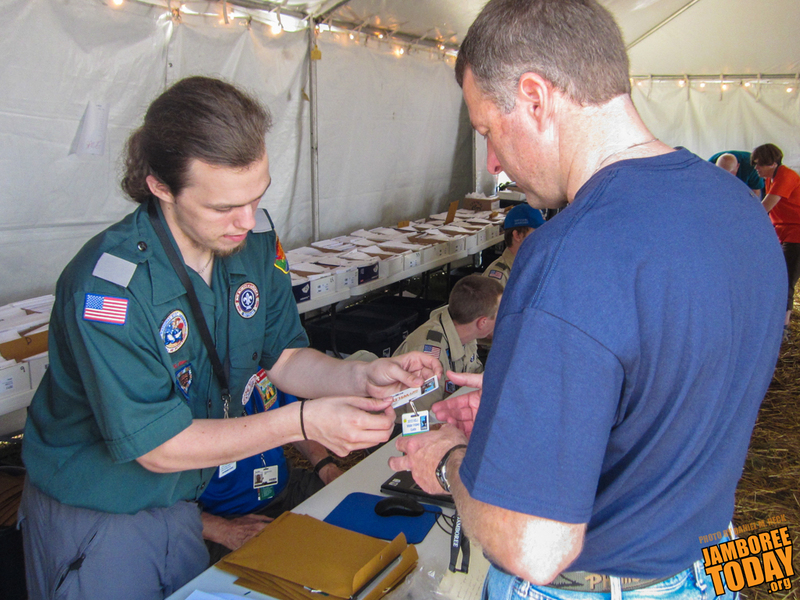 This jamboree has been over three years in the making, since the Summit was announced during the Boy Scouts of America’s centennial celebration at the 2010 National Scout Jamboree at Fort A.P. Hill, Va. Our friends at Patrol Z, Scouting magazine, and Boys’ Life have each shared pieces of that story. We will show you how it all comes together.